Listening Systems & Vinyl Conversion | Brad's All Vinyl Finds! System 1) Technics SL-110A direct drive turntable with Infinity Black Widow graphite fiber tonearm and Grado Prestige Gold 1 moving magnet cartridge / NAD C162 preamp / Phase Linear 400 Series II power amp / NAD C542 CD player / Dahlquist DQ-10 mirrored speakers with recently refoamed midranges and woofers. A review from Stereo Review Magazine, concerning the SL-1100A turntable, is here. The 110A version comes sans tonearm. For the Infinity Black Widow install manual, go here. For the Infinity templates you’ll need to install and align the stylus, try this. System 2) Apple Early 2008 Mac Pro Tower / Aeolus Audio magiDAC Digital-Analog Converter / Sony TA-1120 Integrated Amp / Kirksaeter 60-80 monitors. I convert the vinyl to an AIFF (44.1khz-CD quality) file using the aforementioned Technics turntable, connected to a Bellari VP129 tube phono preamp, which is then connected to the audio input of my Mac Pro Tower. I use Audio Hijack Pro to capture the music. The song file is then brought into Bias Peak Pro 6* for basic audio editing, like fades and normalization. I remove the largest, most horrendous clicks and pops in Peak. The song is then brought into ClickRepair to remove the remaining clicks and pops (it works tremendously well). I now recommend that when you transfer an LP to digital, you do so at 24bits. Whether you maintain the sampling rate at 44.khz (standard for CD quality), or go higher to 48 or 96khz is up to you. I find it’s the bit rate that matters more. At 24 bits instead of 16, ClickRepair does an even better job. It seems to operate more smoothly and effectively. Files are bigger, of course. If the LP is truly trashed, as it often is, I might use Sound Soap 2 for further noise reduction, just depends. I am very conservative about using Sound Soap. The AIFF song is imported into Apple’s iTunes and then a duplicate MP4 (320kbps, variable bit rate) song is made. Finally, I use iVolume so each MP4 is the same volume during playback if I listen to my 5th gen iPod. The 5th gen is reputed to be the best sounding of all the iPods, it uses the Wolfson audio chip. I listen to the AIFF version of the song to evaluate it using System 2. I’ll burn a CD of AIFF files if I want to listen over System 1, using the NAD C542 CD player. System 1 is the better of the two stereos. 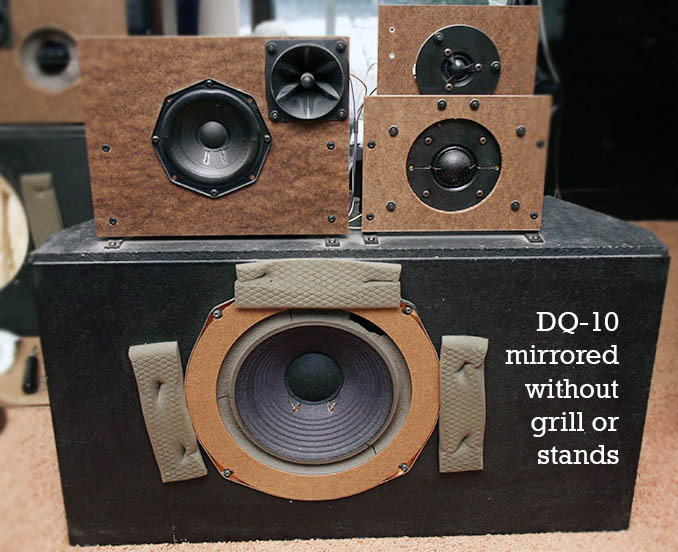 The Dahlquists are capable of three dimensional sound reproduction that System 2 cannot duplicate. 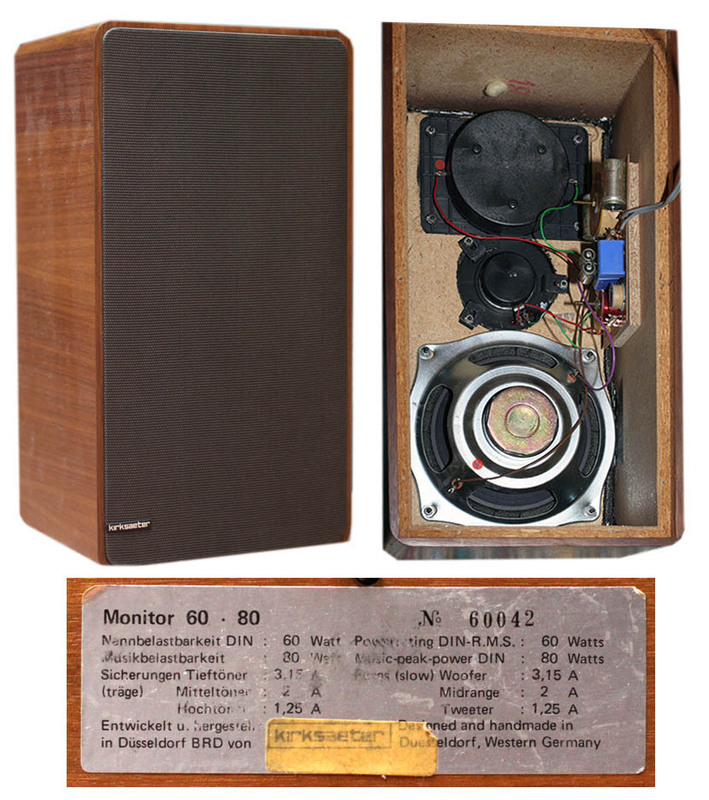 In their time (the 1970s), Dahlie’s were considered among the best speakers in America, with some of the smoothest, most listenable midrange you could buy. I still love ’em. Many of the LPs I buy cost just one almighty dollar, but the conversion from abused vinyl to AIFF almost always yields a very listenable song. May seem like a lot of work, but it’s worth the time. For a buck, I often discover new music this way. *Bias went outta business in 2012. Great products!